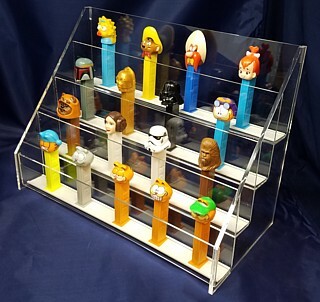 Our Clear Acrylic PEZ Dispenser Display Racks Simplify Displaying and Organizing Your PEZ Dispensers. We Have 3 Tier and 4 Tier Units in 12 inch, 16 inch and 19 inch Widths. 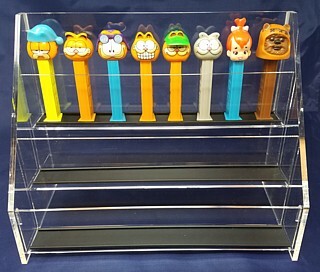 THICK Crystal Clear Acrylic Makes These PEZ Stands Sturdy, Good Looking and Long Lasting.